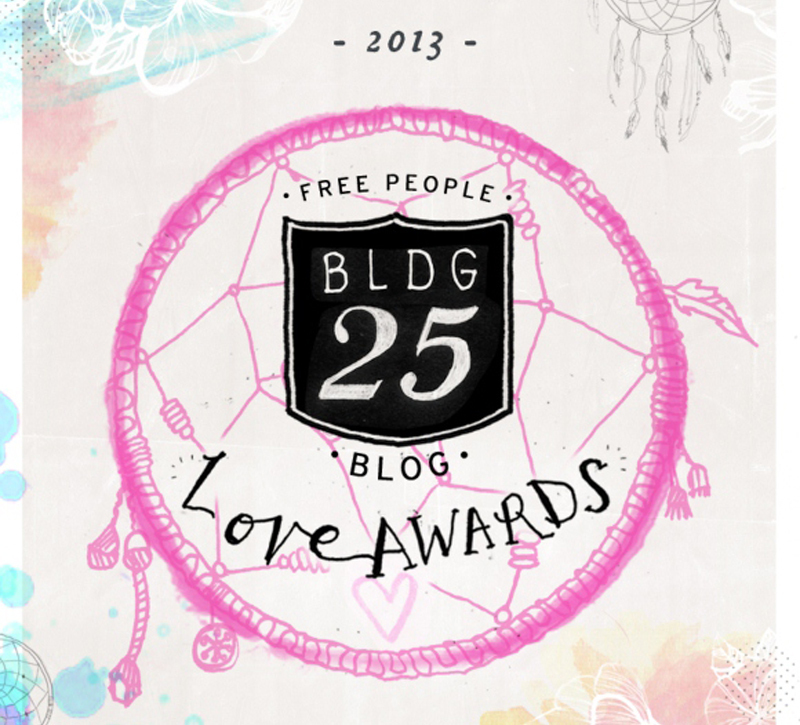 Free People's Blog, the BLDG 25 Blog it's celebrating its 7th birthday and it's Launching the first ever BLDG 25 Blog Love Awards! So let the Phase 1 start. Yohoo! 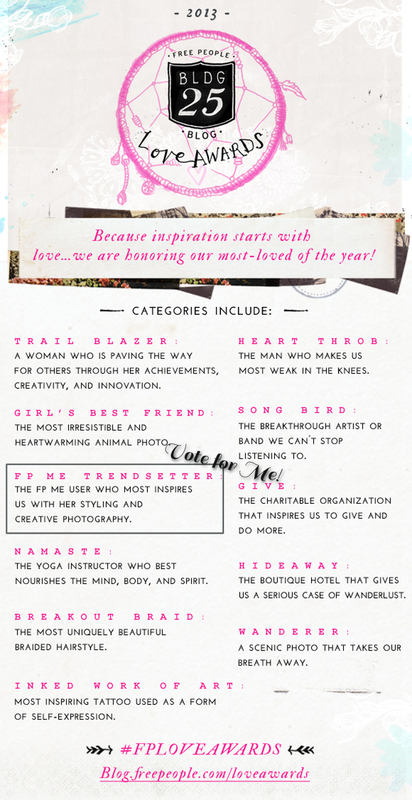 - leave a comment on THIS POST, including the category and the link of your nominee. You have until Monday, October 28th to vote. On that day a Free People committee will narrow the submissions down to 3 finalists for each category. So hurry on, go vote the people behind our favorite blogs.